Today Hideo Kojima is celebrating a very special anniversary, one year from the launch of the new Kojima Productions, after the still mysterious divorce with long-time employer Konami. As he often does, he took to twitter to talk about it, mentioning the company’s humble beginning with only four staff members in a rental office, working on a laptop and pen and paper, and wearing handmade T-shirts, armed with a dream and hope. It has certainly been a hectic year, started with the joint announcement with Sony Interactive Entertainment President Andrew house, exactly a year ago. I remember that it was very early morning here. I was playing something, and I jumped off the game like a hurricane, scrambling to write the news. I had a big smile on my face. It was the end of a period of tension and uncertainty for Kojima-san’s fans, culminated with the reveal of the new logo designed by Yoji Shinkawa and of the uplifting mission statement. The announcement sparked the imagination of many. I never saw a logo giving birth to so much fanart in such a short period. On New Year, Kojima-san did the traditional Hatsumode (new year shrine visit), and drew the customary Omikuji (a paper slip with a prediction that you can find at Shinto shrines), receiving a “Daikichi,” a great blessing, which is the best possible result, and is said to usher in a positive year. And indeed, it was a good one. In January, Kojima-san was joined by PS4 System Architect Mark Cerny on a technology research trip around the world, that was afterwards revealed as a search for an engine that Kojima Productions would use. Of course, they also visited Guerrilla Games, that would then become the studio’s technology partner. 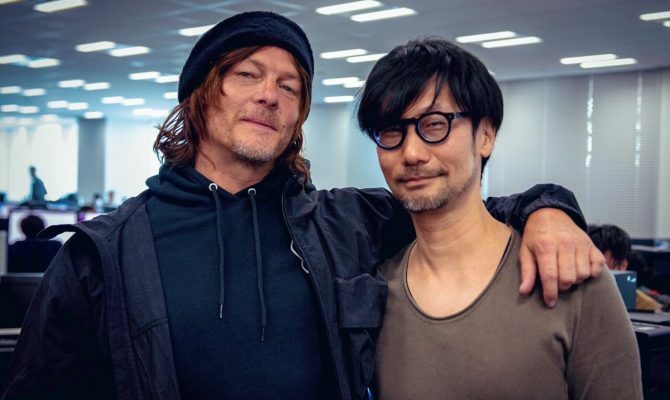 In February, Kojima-san launched a new YouTube series named HideoTube, and appeared with long-time friend and film Director Guillermo Del Toro for a keynote at DICE. At the same time, the teasing for Kojima Productions’ new game began. 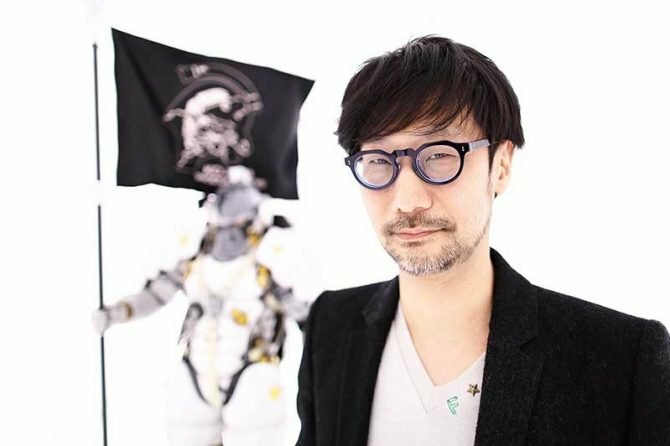 In May, we heard that the new game was something akin to an action adventure, and Kojima Productions fully revealed its mascot character, who also appears in the logo, Ludens. 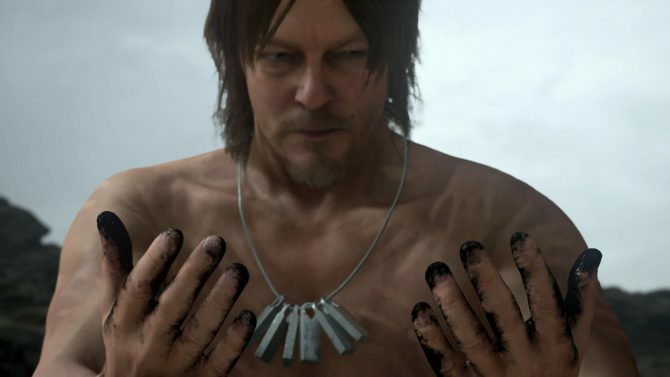 At long last, in June, we saw the first glimpse on the new game, Death Stranding, as a triumphant finale of Sony’s E3 press conference, that also revealed Norman Reedus starring as the game’s protagonist. Hideo Kojima was back. In July, Kojima-san appeared at Develop Conference in Brighton, UK, for a keynote alongside his new adventuring companion Mark Cerny, giving more cryptic hints about the game. We also got a “logo movie” starring Ludens. Another appearance at Tokyo Game Show provided more hints, and Kojima-san talked about using a famous studio’s engine for the first time, while he pretty much drew the audience wild. He was back for the Japanese audience as well, and his fans welcomed him with open arms. At the beginning of this month, he received the Industry Icon Award at The Game Awards, and the embrace of the industry that supported him. 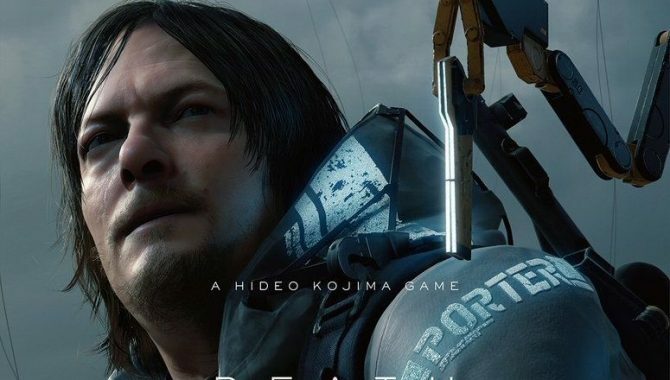 He also showcased a new trailer for Death Stranding, which revealed the participation of Rogue One: A Star Wars Story and Doctor Strange Actor Mads Mikkelsen as Reedus’ character’s antagonist. Just three days later, at PlayStation Experience, Kojima-san revealed the engine of the game as Decima, by Guerrilla Games, announcing the technology partnership between the two studios. The story of the solidarity and support provided by Guerrilla before a contract was even signed was actually quite uplifting. A new version of the new trailer was also revealed, featuring music by Low Roar, that performed the soundtrack of the first trailer as well. Hideo Kojima compared the partnership with Guerrilla to space exploration, and honestly I can’t wait to see how far they’ll manage to go. Incidentally, we also get to see the original logo created by Yoji Shinkawa. Apparently, it Ludens had a backpack, but in the end it was removed. It’s been a long year, following months of tension and concern with relief and uplifting moments. 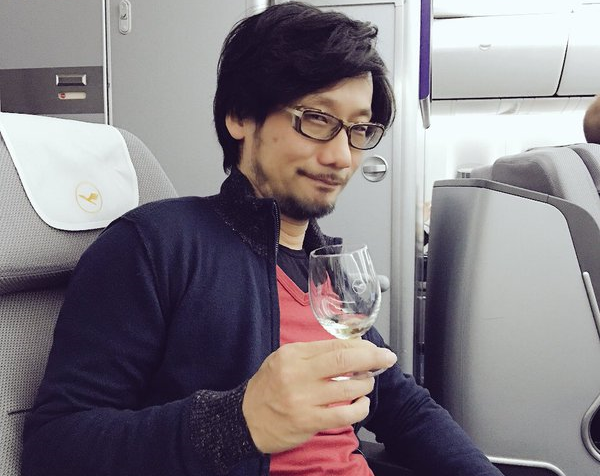 Now Hideo Kojima is ready to take off, and I have a big, wide smile on my face as I write this. What can I say… I love writing a happy story.